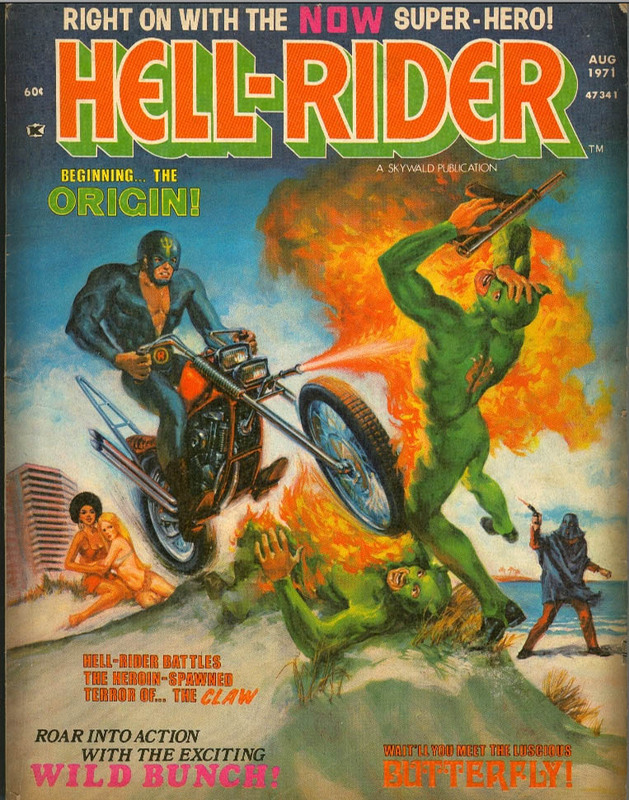 Hell-Rider Complete Collection Skywald Pub. 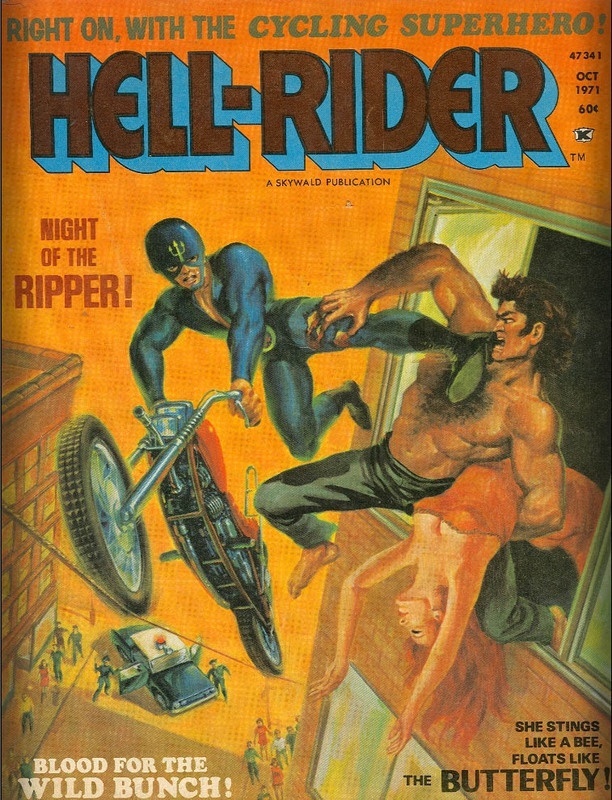 Inc. 1971 | Books Inc.
Hell-Rider Complete Collection issues 01 & #02! Right on with the ‘now’ superhero; a quick flip through the pages will promise you super-hero action and, what’s more important: Nekkid women. 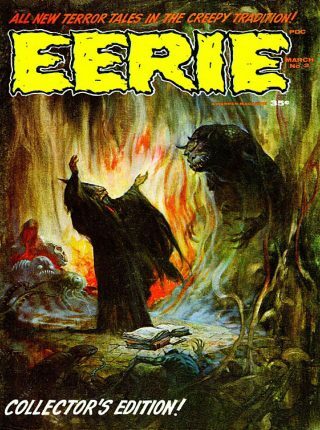 Hell-Rider is a short-lived, black-and-white comics magazine published by Skywald Publications, a 1970s company best known for its horror-comics magazines Nightmare, Psycho, and Scream. 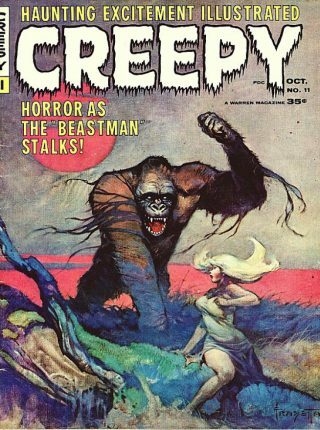 Like them and the similar publications of Warren Publishing, these were mature-audience magazines not covered by comic books’ Comics Code Authority. – Wait till you meet the luscious Butterfly! – Blood for the Wild Bunch! – She Stings Like a Bee, Floats like the Butterfly! Digital files. Available for download immediately after purchase. 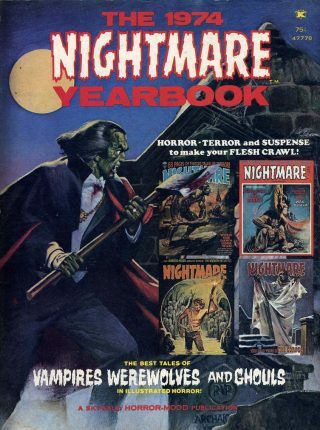 To read graphic novels you need a comic reader, which you can download here for free.